whatever my lot, thou hast taught me to say,. 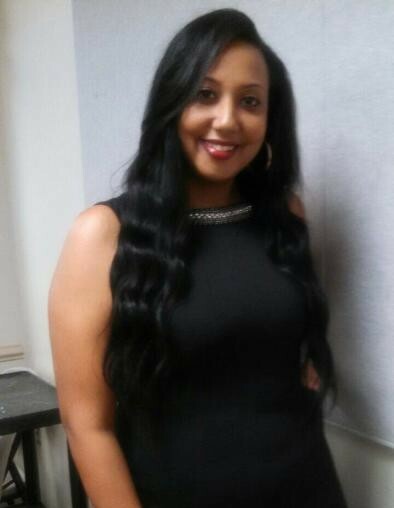 In humble submission to the will of God, Christian Memorial Chapel, LLC sadly announces the passing of Ms. Leilani Schante'l Valle, age 28, of Marianna, Florida transitioned into eternal rest and peace Saturday, August 18, 2018 in Marianna. Although we are saddened by her passing, we rejoice in knowing that she in a land "where he'll never grow old." Farewell, Leilani. Leilani is survived by her daughter: Ja’Nya Holmes; Parents: Cassonya Valle, Marianna and Thomas Valle, Honolulu, HI, siblings: Schelroya Valle, Majestic McNealy, Aaron Valle, Kaiana Valle and Keona Valle; special siblings: LaMeisha Staley, Ashley Staley, Nakisha Myrick, Brandon Gibson and Brian Rhynes; maternal grandparents: Nathaniel and Barbara Williams, Marianna and Charles and Jean Forrest, Marianna; paternal grandparents: Ernest and Wanda Valle, Las Vegas, NE; aunts and uncles: Charlene Barnes, Marianna, Kimberly Lewis (Doug) Sneads, Sharon Valle, Honolulu, Terri Valle-Quichocho (Greg), Las Vegas, Kris Kim (Marc), Wailuku, HI, Cynitha Forrest Albert, Panama City and Bridget Star of Marianna, FL, Washington Williams, Marianna, Rudy Valle (Olepa), Kailua, Kana, Anthony Valle (Sonia), Wailuka, HI and Christopher Forrest (April); godparents: April Holden, Sheila Spenser, Dwayne Spires, Emelda Davis, Torron Gibson, Virginia Staley, Yvonne Baker; special friends: Asia Brown and LaKesha Foxx; special nieces and nephews: Kenyon, Jaleiya, Noah, Amiya, Alivia; numerous other relatives and friends. She was employed at Sunland Center in Marianna, Signature Healthcare and Rehabilitation Center in Marianna and Signature Healthcare of North Florida in Graceville as a Licensed Practical Nurse. Please keep the Valle family in prayer, as we reflect the gracious memories.